If you want to grab candidates’ attention, it might be time to consider giving your company’s Career Page a makeover. Why? 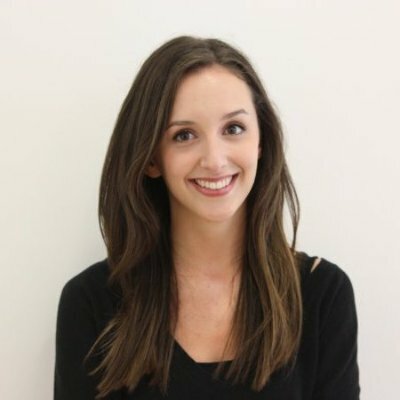 Because 59% of candidates look up a company online before applying for a job, so you want to put your best foot forward and showcase your unique company story. 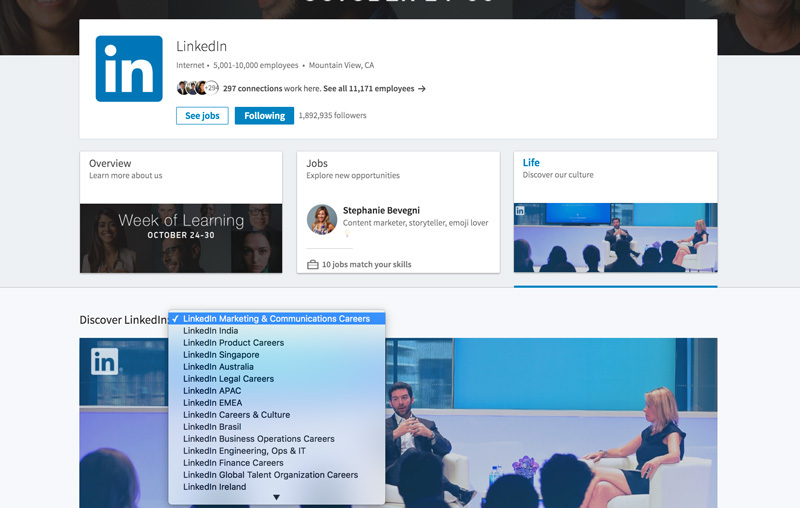 With the next generation LinkedIn Career Pages, there are countless ways to do just that. A few simple but powerful changes will help you attract, engage and hire the right talent. Studies show that the brain processes images 60,000 times faster than text. Luckily, the Life tab has many opportunities to display photos and videos – the header image, the custom modules, and the company photos. Customizing your Career Pages with images of real people at your company genuinely shows what it’s like to work for your organization. You can find great photos in existing (or unexpected) places. Start by leveraging photos from your company career site, social media channels, or company blog. Consider running a company-wide contest for employees to submit their work life photos. Or, if you have a big event coming up like a company party or an offsite, hire a professional photographer to capture the action for an hour or two. Your employees are front and center in the new Career Pages experience. 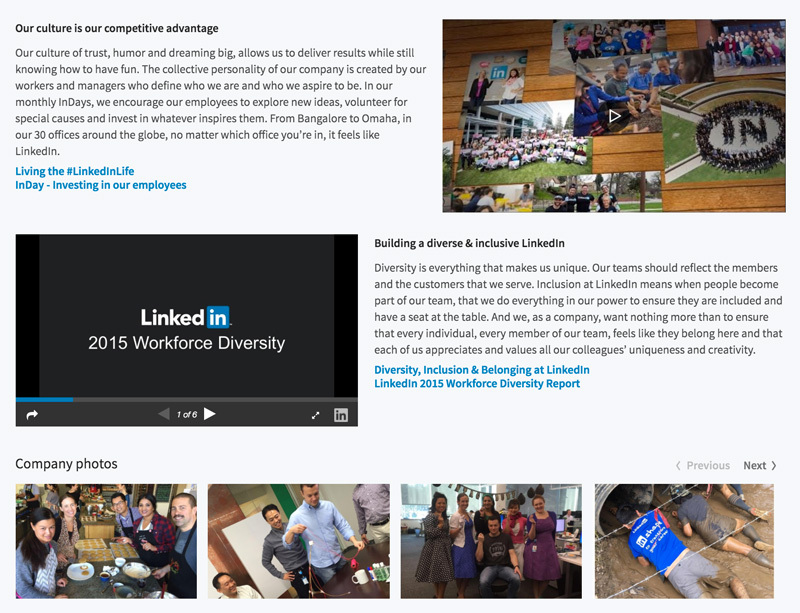 Not only are they highlighted in photos, they’re also featured in the Company Leaders and Employee Perspectives section. Train your employees to be brand ambassadors and encourage them share their work life experiences. You can also host quarterly personal branding sessions to teach employees how to rock their LinkedIn profile, post status updates, and publish articles on LinkedIn. In addition, you can use this time to educate employees about your social media policy. If you know employees and executives who are already very active on social media, position them as champions to lead by example. This top-down and bottom-up approach will help you turn employees into employer brand ambassadors. Don’t forget to send an email to all employees letting them know that you’re updating the Career Page and looking for their content and photos. This is incredibly effective and an easy opportunity for you to explain to your employees WHY you are doing this in the first place. Relevancy drives engagement, and what matters to one audience will not necessarily resonate with another. You want to make sure your Career Page is relevant to potential candidates so they engage with your employer brand, and ultimately engage with your jobs. You can use the targeted audiences feature to personalize the Career Page experience to various viewers, showing content that is most relevant for them. Use targeted audiences views for those hard to fill roles or priority talent segments you’re recruiting for. For example, a view for engineering, a view for marketing, or a view for a specific region. Customize each targeted audience view with specific Company Leaders, photos and messaging that tell a better story of what it’s like to work in that job function, or location. Get starting using these tips and you’ll get the right talent engaging with your LinkedIn Career Page.